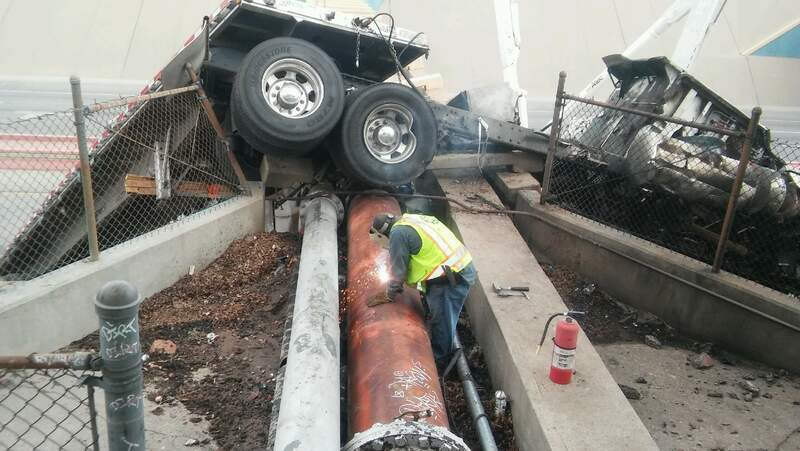 Industrial Fabrication & Repair in El Paso | Wyler Industrial Works, Inc.Industrial Fabrication & Repair in El Paso | Wyler Industrial Works, Inc.
Our crews are called out during emergencies, in this case, before the bridge collapsed (that the 18-wheeler had run into), our welder was capping off the water line. Wyler Industrial Works, Inc. has been serving the Southwest for over 100 years. We are an all-encompassing, full service team, dealing with every aspect of industrial repair. Our fast and reliable service sets us apart from the rest. We are the only team that provides full service capability in West Texas and Southern New Mexico. Backup when minutes count! When your mechanical staff has a problem, they need industrial repair services fast! Nothing slows the process down more than having to contact several specialized shops for service. 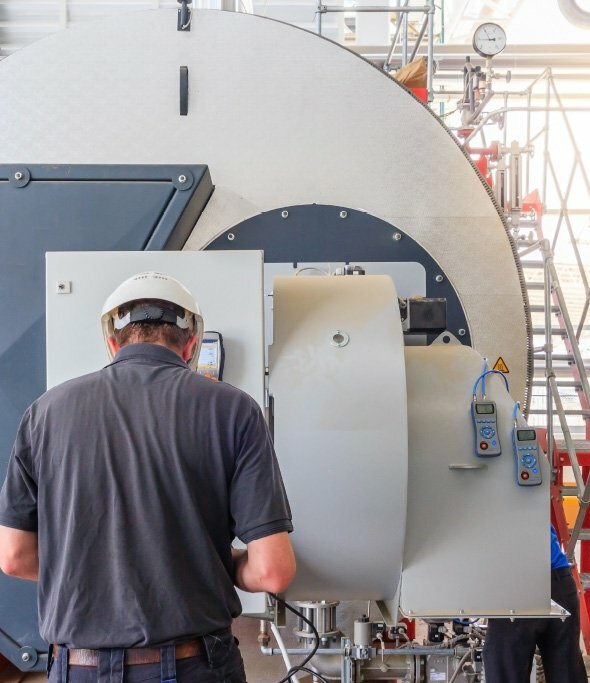 At Wyler Industrial Works, Inc., we pride ourselves in our boiler installation services. In order for any machine to run efficiently, regular maintenance and repairs are necessary. When it comes to welding, it’s crucial to choose a reputable team to do the work. This way, the end result will be as expected. In order for the job to be completed accordingly, the welder must have ASME code welding accreditation. Any machine will eventually need repairs, especially those that keep industrial facilities running. Since these machines see much wear and tear throughout their lifetime, they require routine repairs in order to run efficiently throughout the workday. When it comes to pressure piping repairs, the industrial facilities of the Southwest deserve the best. Appropriate experience, along with the necessary certifications translate to the all-encompassing service. Backflow can lead to disastrous situation and even cause industrial facilities to shut down. Appropriate pressure piping is necessary for any industrial facility to be both safe and efficient. Properly maintained commercial gas lines provide a safe environment for employees and clients. 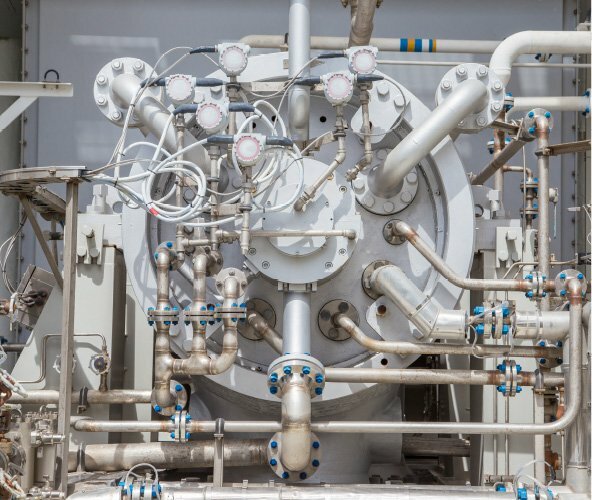 We provide comprehensive pressure piping replacement services so your facility can run as smoothly as possible.